I don’t really pay attention to the filmmaker thing. I got a script sent to me at this office and I got a call from a woman – Universal’s doing a snowboarding movie. I’m not in it yet, but I’m supposed to meet with the director in New York soon. I’m waiting to hear back from them. I love comics. All I’ve been doing is reading every day, sitting in the house. Because I’ve not been feeling too good, so I’ve been reading and reading. I showed my mom the movie then I told her the movie got bought and that it was gonna be shown in theatres and be on video. Everyone was really psyched about it. Everyone in my little town of hounds started to call me movie star. I think I’ll be fine in New York. If I could stay here and just get jobs in New York, that would be fine and that’s what I’d want to do. I don’t want to move. I’m a big toy collector. I’ve been slowing down because my money’s been tight, but I collect toys, too. I’m getting Puppetmasters, too. They’re one of my favorites. And they’re coming out with new Puppetmasters. I try not to get everything, but I want so much. In Kevin’s movies I would like to stay Jay. In Mallrats, you pretty much don’t see him sell any weed, really. I don’t consider him a big dealer. It was a lot of fun on the set. I had the most fun making that movie out of all of them. I’m sure if I sat and thought about it, but none that I could think of offhand. It was cool to do someone else’s movie. It was a lot of fun. No, I don’t have an agent. I’m hoping to get one soon. On Mallrats, a lot of times they’d have to come find me. I’d be off hanging around. Looking around the stores, hanging out with people. So, he’d have to come find me. There’s a lot of other movies I like, but I don’t even pay attention to directors to tell you the truth. Weed, you know, you just get mellow. You can drive pretty stoned and be OK. I mean, sometimes you get too stoned and you can’t drive. But you could get pretty stoned and still drive. 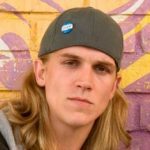 Jason Edward Mewes was born in Highlands, New Jersey, USA. He is an American actor and comedian. His role in several films include: Clerks, Chasing Amy, Dogma, R.S.V.P., Feast, Bottoms Up, The Tripper, Breath of Hate, Cousin Sarah, Noobz, Jay & Silent Bob's Super Groovy Cartoon Movie(also producer), Devil's Tower, Yoga Hosers, and Vigilante Diaries. His role in television include: Clerks: The Animated Series, Degrassi Goes Hollywood(TV movie), and Todd and the Book of Pure Evil(TV series).